Whether you’re a photographer, a vlogger, or an independent filmmaker, your image quality is just about the most important thing there is. Today we’re going to help you select the best tripod under 100 dollars to make sure you get the best value possible, that also suits your personal needs as a content creator. In the past spending so little money on a tripod would be a fool’s errand. However, in recent years, the quality achievable by low budget tripod manufacturers is simply astounding. The tripods we have recommended on this list are all very solid choices that will get the job done and leave you satisfied. 1 Why Should You Buy a Tripod? 1.1 Why Buy A Tripod Under $100? Why Should You Buy a Tripod? In case you don’t understand exactly why you need a tripod, here are a few great reasons. The only way you’ll be able to get any sort of stable still shots. Having a tripod is necessary for recording yourself without additional crew. You need one if you want to be able to get tilt and panning shots. They’re an essential piece of any film arsenal! Why Buy A Tripod Under $100? With that in mind, here are a few additional reasons why we think a sub-$100 tripod is still worth your money! You can afford to buy a larger quantity, allowing you to outfit a studio or other collaborators. It leaves you with more money to spend on important things like lights, microphones, and your camera rig. Is pretty much a necessity for those with lower budgets. It’s no secret that Manfrotto is the gold standard for top tier consumer grade stabilization. The MVH500AH was our favorite choice among tripods of a higher budget, but the brand still reigns supreme even at the lower price point. This tripod is compact, lightweight, and is an excellent cost-to-value ratio. Like most tripods around this size, the aluminum frame is able to support a payload of around 6.6 pounds. It only weighs about 3 pounds itself, making it an excellent choice for those of you who will be moving around a lot or shooting outdoors. If you’re a videographer, this is going to be the best choice on our list due to the 3 way fluid motion head. The head feels a little clunky in comparison to Manfrotto’s $200+ fluid heads, but reviewers have noted that it is still very possible to get smooth pans and tilts. The minimum height is very low, at just over a foot. This means it’s very easy to transport, and you’ll also be able to get low-angle perspective shots that won’t be possible with taller tripods. Do note however, that the maximum height is a bit low too, at around 52“, so if you need something taller than this, you should check out the other options on our list. It also comes with a nice little carrying bag! Note: This tripod does not include a fluid motion head. It’s a great choice for photographers, but if you are looking to do videography work, we suggest you choose a different one. While our first recommendation is the best pick you’re going to get while looking for something compact and lightweight, the SLIK 700DX is a much more heavy, stable choice. It weighs a little bit more – 5.5 pounds, but it’s capable of supporting a load of 20 pounds compared to the Manfrotto’s paltry 6.6. Not everybody needs this, but you might be working with a rig on the larger side. The legs can spread all the way out, allowing you to get really low angle shots. The maximum working height is much taller than the Manfrotto at over 70 inches. What’s really impressive about this model however is the minimum potential height – 10 inches. The innovative design allows you to get astonishingly low to the ground for macro and low angle shots. There’s really not much else to talk about here. There’s no major accessories like level bubbles or fluid heads – what you have here is a very sturdy tripod at a very reasonable price. If you’re looking for the most sturdy, durable product available for less than $100, your best option is the SLIK 700DX. While our first recommendation was ultra compact, and our second one was large, heavy and sturdy, the Zomei Z818 falls directly in the middle. If you’re looking for something affordable and lightweight, the Zomei Z818 is the most versatile choice on the market. It might not feel as “premium” as the Manfrotto monopod, but many are still very satisfied with its performance. What we love the most about this tripod is the ability to adapt it between a Tripod and a full functioning monopod. If you’re in the market for both, or are looking to strike a balance between lightweight and strong, this is the choice for you. You’ll have a bubble level, quick release plate, and a pan/tilt head to make the production process as easy as possible, and the rig still manages to feel incredibly lightweight despite it’s features and stability. The maximum height is around 6 feet tall too, which is honestly taller than you will ever need. The tilt head is very smooth – although we had never heard of Zomei before, we never had any problems adjusting it or having our camera stutter while shooting. The entire rig is barely over 3 pounds. This may lead you to think that the tripod is not all that sturdy, but we were pleasantly surprised there too. The Z818 features a column hook on the undercarriage that allows you to hang any variety of weight. This will tether your tripod to the ground and give it the same amount of sturdiness as a much heavier tripod. There’s even a bunch of cool color options to help you express yourself! Note: This tripod is significantly smaller than all our other choices. Don’t buy it if you need full-sized sticks. 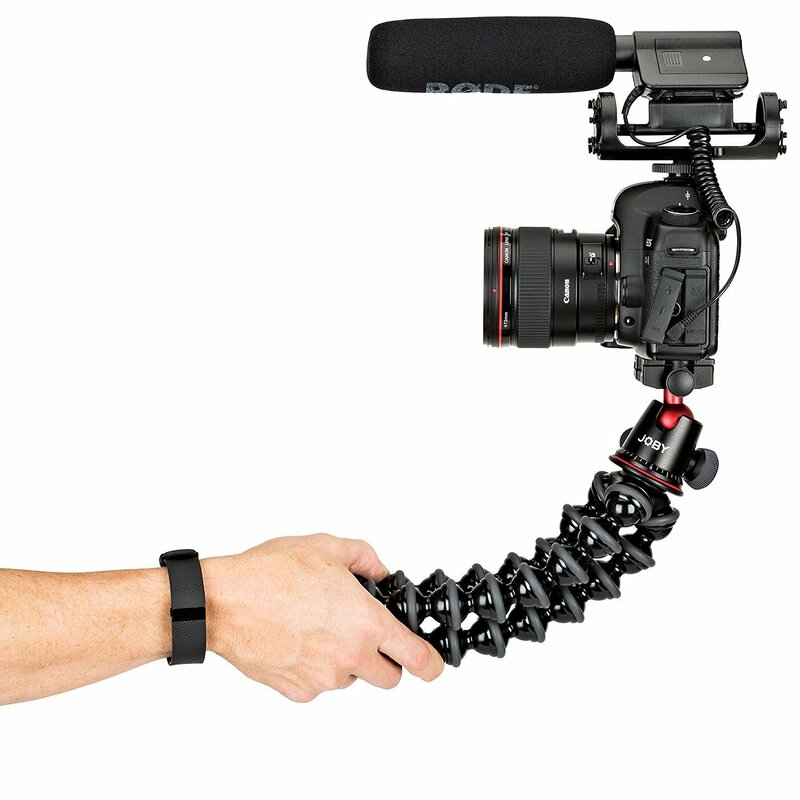 Joby Gorillapods are a staple among YouTubers due to their compact, sturdy, versatile design. This model is their mid-range option that falls just around the price range of the other offerings in this article. If you’re looking for a quality well-rounded stabilization device for your vlogs, this is pretty much the definitive choice. Gorillapods work by utilizing three legs made of around a dozen different joints, meaning they can be manipulated and redirected in pretty much any configuration you want. Uneven rocks, tree branches and street lights all become easy ways to mount your camera and get super creative shots. You’re not going to be able to do this with any other tripod. The maximum payload is around 6.6 pounds, and the body is made of ultra durable medical grade Japanese ABS plastic. 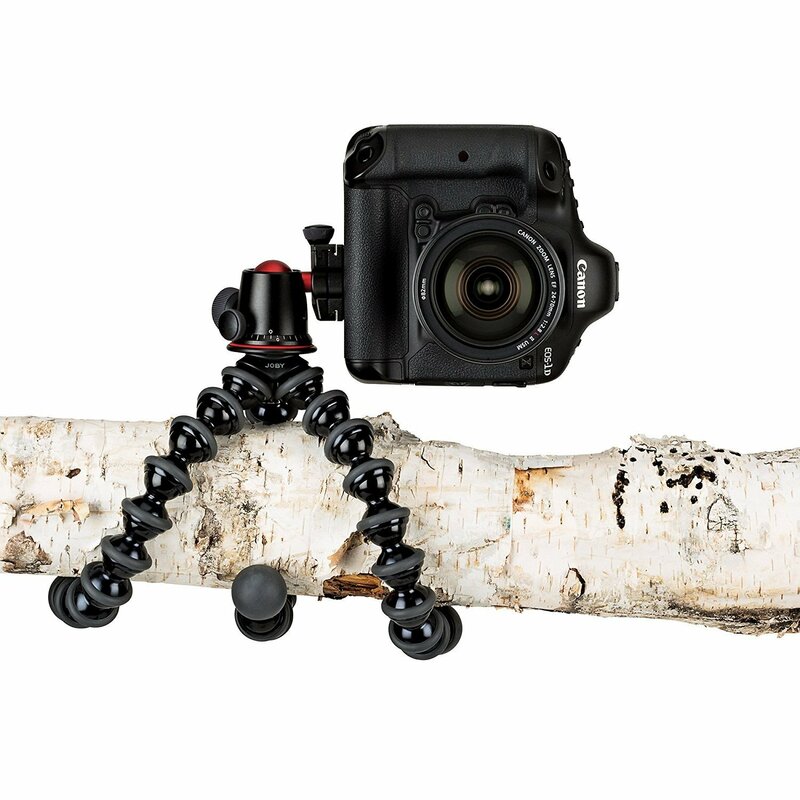 The Gorillapod itself weighs less than a pound, so you can take it everywhere with you. Rubber feet on the bottom work well to keep it slipping, and reviewers are very impressed with how expensive it feels in your hand. The head is able to be rotated in any direction to accommodate all sorts of shots, and the price is very affordable. If you’re a vlogger, this is a must buy. 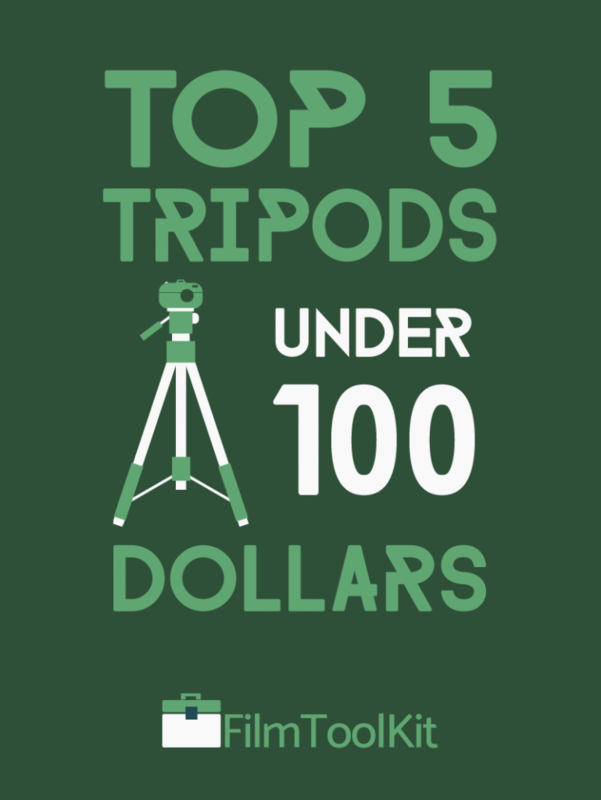 Alright, all the tripods on this list are under $100, but what if you don’t even have that much money? This tripod is cheap as hell, comes with just about every feature in the book, and has proven itself across thousands of users to be of strong build quality. This tripod feels like it should be much more expensive than it is, and is an easy recommendation for any aspiring YouTuber looking to spend as little money as possible. The maximum load capacity will exceed that of pretty much all consumer grade DSLR and camcorder rigs at 6.6 pounds. We love this tripod the most because of its lightweight design. At only 3 pounds, you may be concerned that it won’t be sturdy enough, but AmazonBasics has actually taken that into consideration. Near the base of a tripod is a hook that allows you to weigh the tripod down with sandbags or weights while in use. This ensures that you’ll have maximum portability and stability at the same time. Height range is pretty standard at 2 to 5 feet, and it even comes with a quick mounting plate to transition to handheld quickly. This really took us by surprise, as usually that feature by itself costs more than this entire tripod! The 3 way head obviously isn’t as smooth as the ones produced by Manfrotto, but if you take care of your gear, it will manage to provide you with smooth motion shots for awhile. Of course this tripod isn’t going to blow anybody away. It barely costs more than a roll of gaffer’s tape. However, it is an amazing value and an easy recommendation that will definitely get the job done. Did we mention it comes with a carrying bag? We feel like the bag itself is worth the purchase price. If you’re already trying to spend under $100 on your tripod, you’re not going to have much freedom in terms of options. However, there are still a few factors you can take into consideration when choosing the best cheap tripod to fit your needs. Here are a few of them broken down for you to understand better. If you’re buying a tripod for video production rather than photography, it’s important that you make sure you have a fluid motion head. While these can be bought separately, it’s probably best you just pick the right one from the start. These fluid motion heads allow you to do smooth pans and tilts, which are pretty much the entire point of using a tripod in your video production. Since there is no movement in static photography, a simple head will do the job just fine if you are a still photographer. Most “photography” tripods will forego this feature to save money, but you may still want to consider investing in it to make repositioning your shot more convenient. When choosing you’re tripod, you’ll want to consider what kind of height ranges will be most desirable for your shooting. Taller tripods obviously are more versatile and will give you more angles to shoot from, but they will come with the drawback of being heavier and more expensive. Being heavier however, can also sometimes be beneficial. 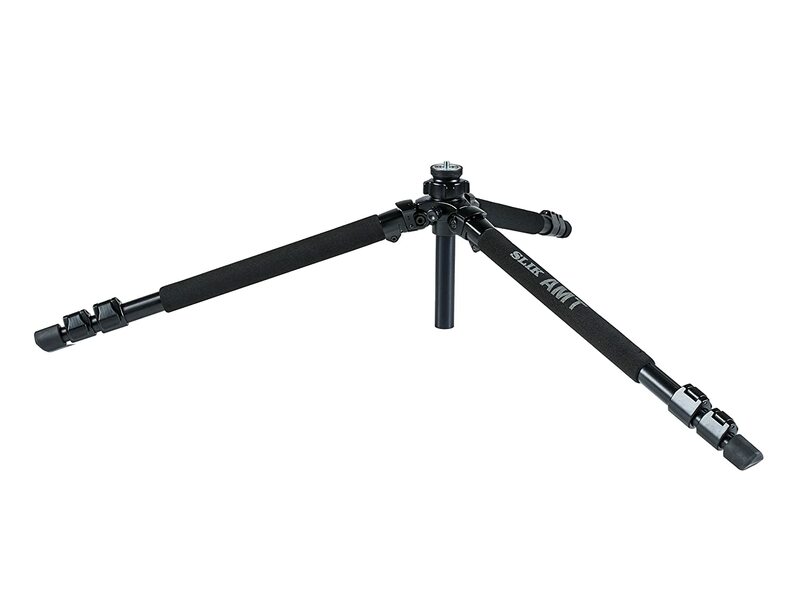 Heavy tripods are more stable and will be more sturdy in their position, as well as more difficult to knock over. Lighter tripods are less sturdy, but they will be much less cumbersome as well. This is important if you’re doing long treks into the wilderness with your tripod. If you’re inexperienced with film equipment, you probably don’t understand the difference between aluminum and carbon fiber equipment. In essence, they’re about equal in stability and strength, but differ in terms of weight and price. Carbon fiber is more expensive, but can weigh quite a bit less. If this is important to you, it might be a worthy investment. When shooting for under 100 dollars, you’ll probably want to go with something aluminum. It’s going to be a bit heavier, but that value you’re saving by going with cheaper metal will be put towards building a better tripod overall with features like fluid motion heads and better height ranges. Even at the cheapest price ranges, you can still find tripods that have all sorts of little cool add-ons and accessories. But what do they do? 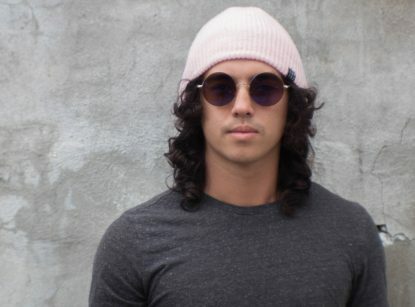 Here’s a quick rundown of some of the essentials. Level Bubble – These will allow you to see if your shots are properly level to the ground before you begin recording. Quick Mount Plates – A quick mounting plate will allow you to switch rapidly between shooting handheld and on your tripod. Carrying Bags – Included custom-sized carrying bags can be very useful, especially if you’re going to be lugging lots of gear. Monopod 2-in-1 combos – Monopods are also an excellent filmmaking tool, and getting a combination tripod-monopod is a great way to save money.